Kenny Brown has developed a rear suspension kit that completely transforms the back end of the car. I previously had all aftermarket suspension components on the car and it was a bit stiff and twitchy around hard turns. It had a tendency to slide out and over-steer. It did not inspire confidence at all. It had two main problems. First was the fact that all the parts were adjustable but no real instructions or guidance on how to adjust them. Second until you you adjust and improve the rear suspension geometry you are not really gaining much over the stock design. The AGS 4.0 Rear Grip Kit takes care of both of these issues. 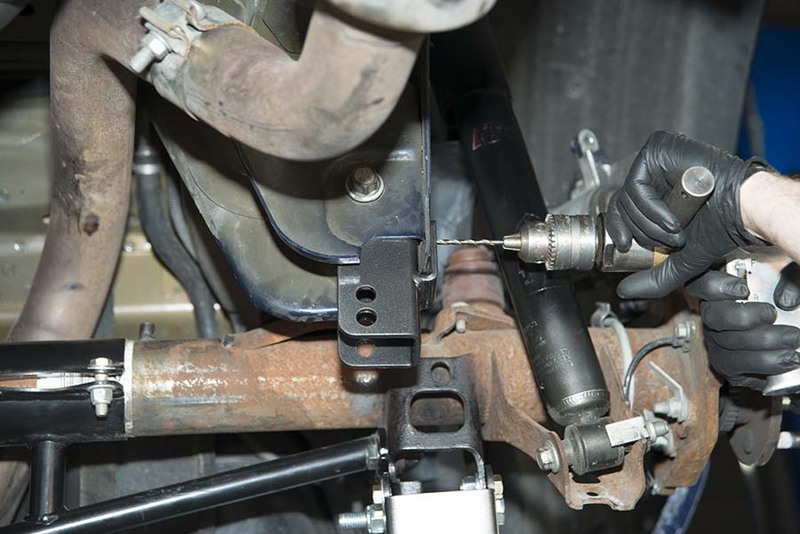 It is all pre-set, instant-center, shock adjustment and relocation of the Roll Center of the rear of the car. 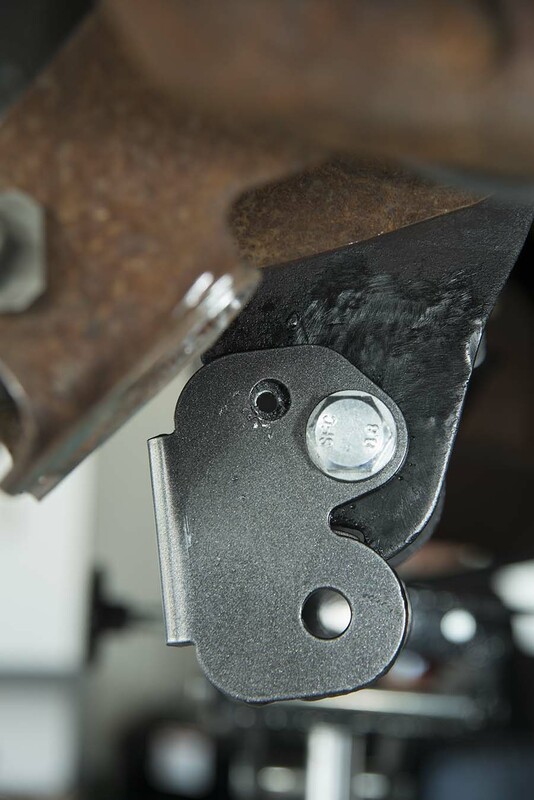 The rear upper control arm is longer to reduce instant center migration. 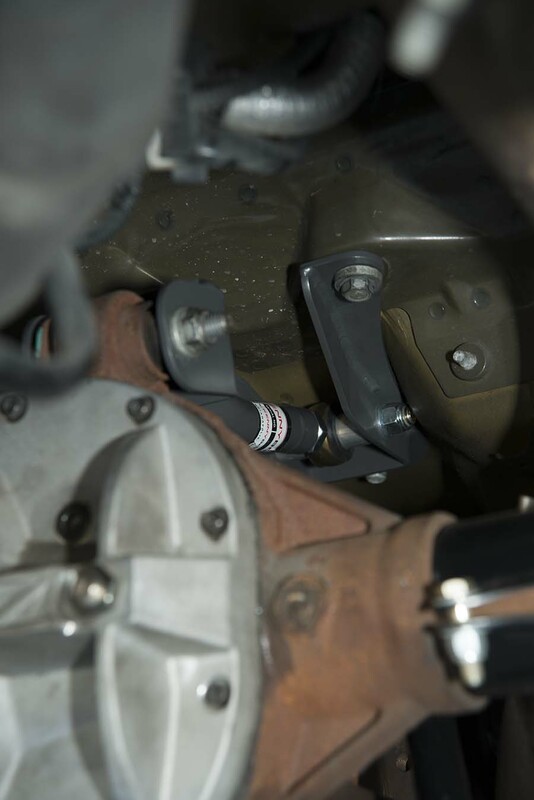 It also has anti-squat brackets for the back of the lower control arms. 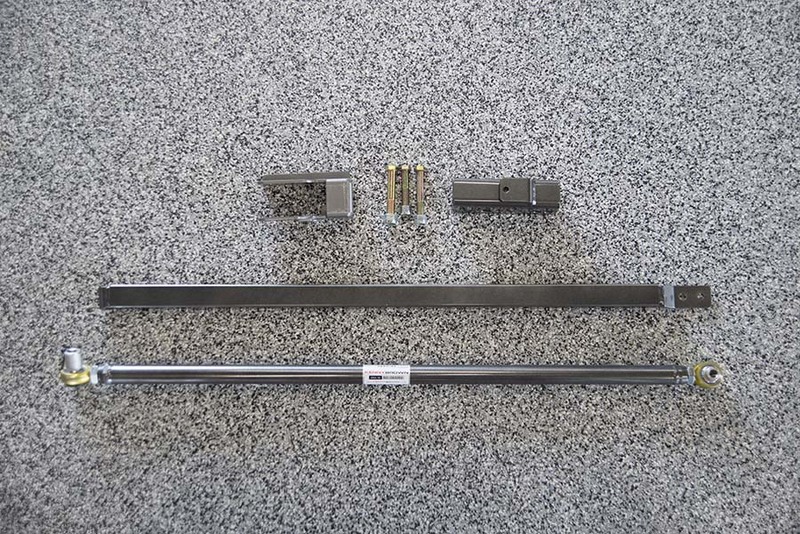 And the magic part of the kit is the Panhard bar relocation kit. 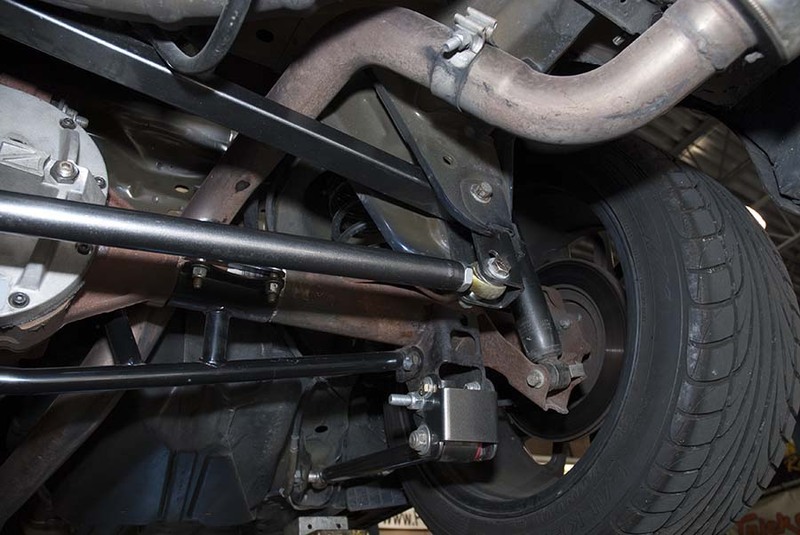 This is the part that corrects the rear roll center for better rear suspension geometry. 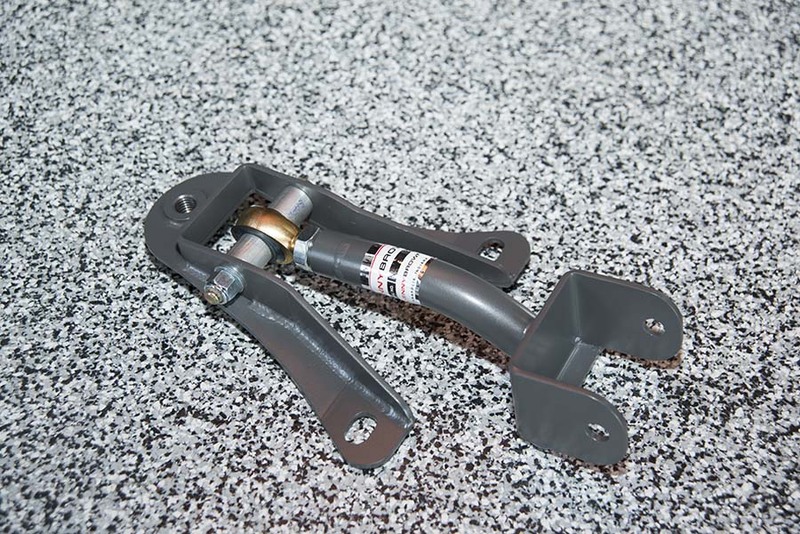 This kits helps the car be more stable on corners and under braking. 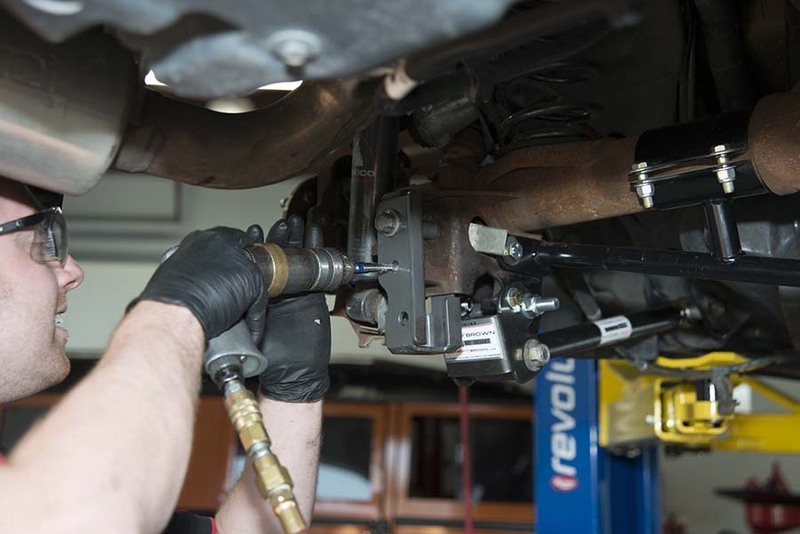 This is the part that corrects the rear roll center for better rear suspension geometry. This kit helps the car be more stable on corners and under braking. These are two areas Mustangs are notorious for not being great at. I can tell you now from personal experience this fourth generation rear grip kit is fantastic. The car has a real squat to it now, it used to spin the tires even with all aftermarket parts now it just squats and goes forward. Plus now in corners the rear just leans over a bit and then turns in without loosing adhesion and walking out on me. I can feel the rear set and then it seems to put control back into the front of the car and let it point and take control. The confidence in corners now is a night and day difference. Here is an overview of the rear kit install. Other than a couple of holes to drill its the same as most other aftermarket parts. These parts come with detailed installation instructions. If asked what the first mod to a mustang should be this Kenny Brown Rear Grip kit would be my answer. I drove my Mustang for two years on after market parts and they may have been stronger than factory but they did not perform half as well as this setup. I drove the car at Road America on this kit and loved every corner and every hard breaking dive with it. 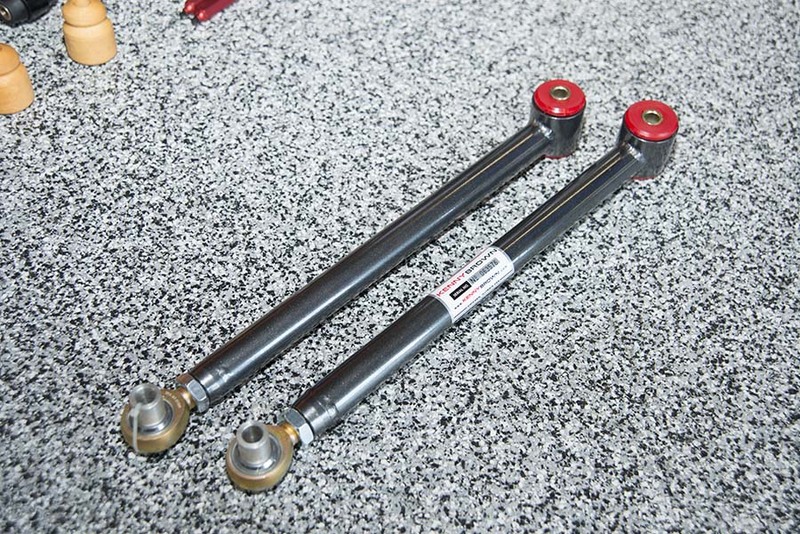 This is the preset length rod end rear upper control arm. 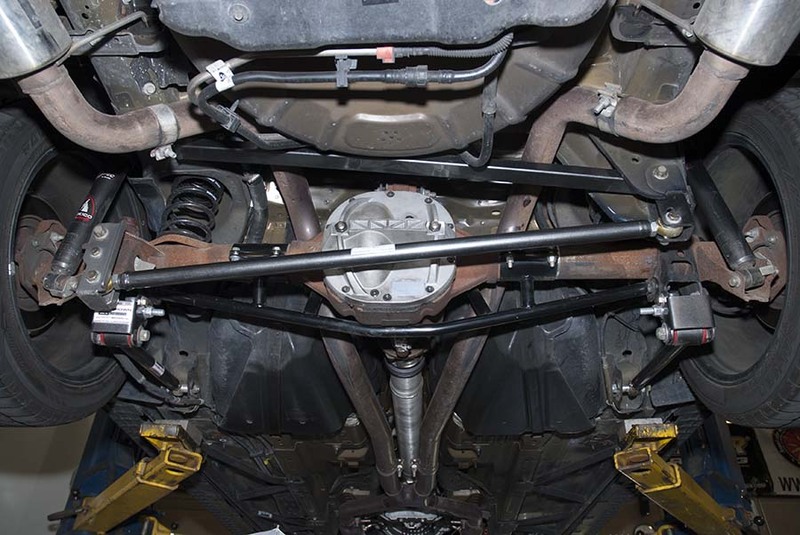 These are the street version lower control arms. They have one rod end and one poly bushing. The racing version has rod ends on both sides. 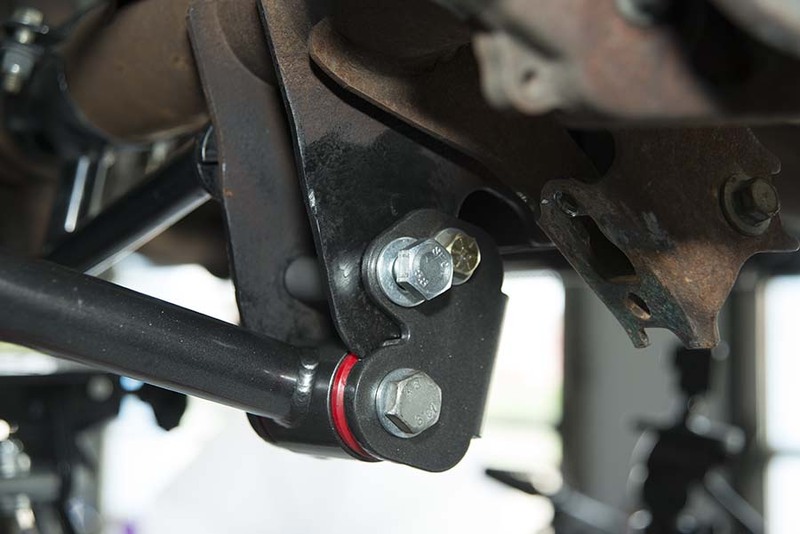 These are the lower control arm relocation brackets. They lower the rear end of the trailing arm for better grip. This is the new pahard bar, upper brace and relocation brackets. This part here is the magic behind roll center relocation. After you have the wheels off. 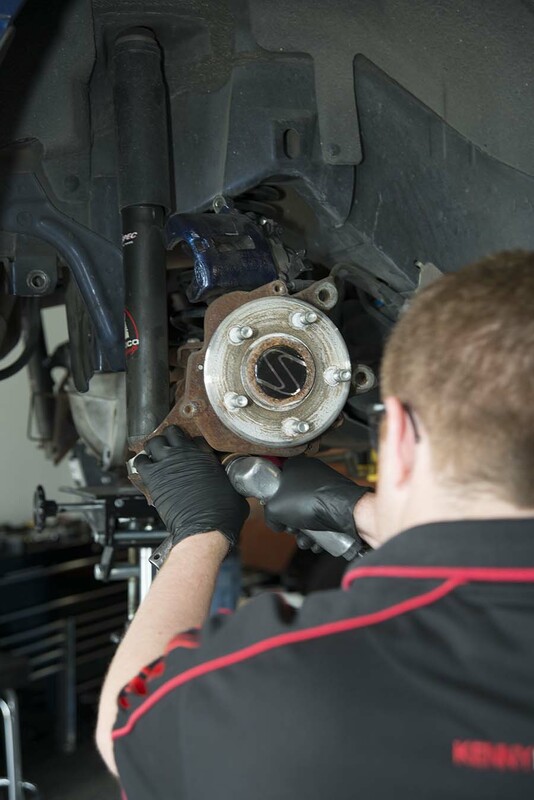 Start with pulling the rear brakes off. Then you can drill the holes needed to bolt in the lower control arm relocation brackets. Here you can see the new hole. 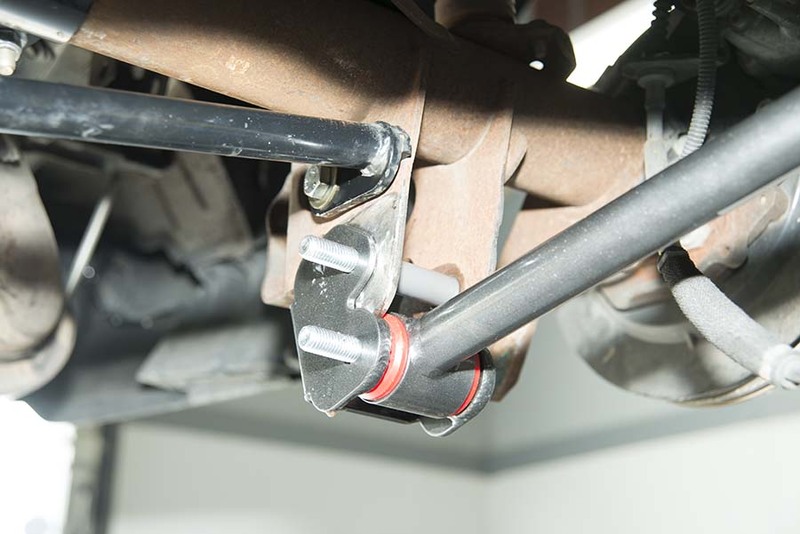 You can pull your old lower control arms and the put in the new trailing arms. The rod end goes on the front side. Two bolts hold it on the chassis and the lower bolt is for the control arm. Tighten and repeat on the other side. Now we can move on to the Upper Control Arm. 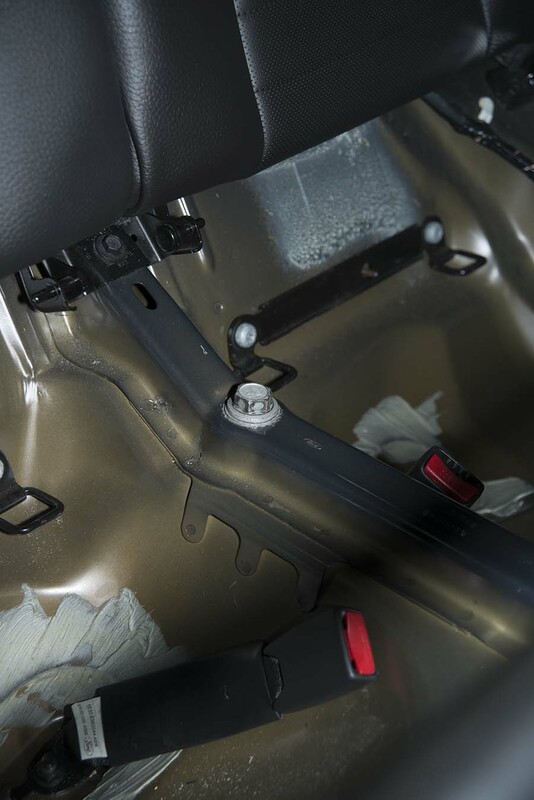 First remove your back seat and then undo this bolt. This will allow the arm to drop down from the chassis. Then you pull the two back bolts and then a bolt on the rear housing. 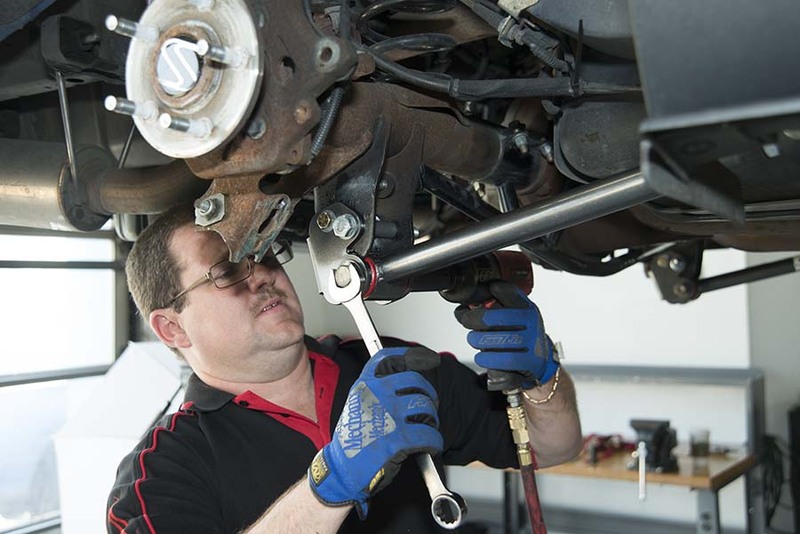 Replace the Control Arm with the Kenny Brown Control Arm. 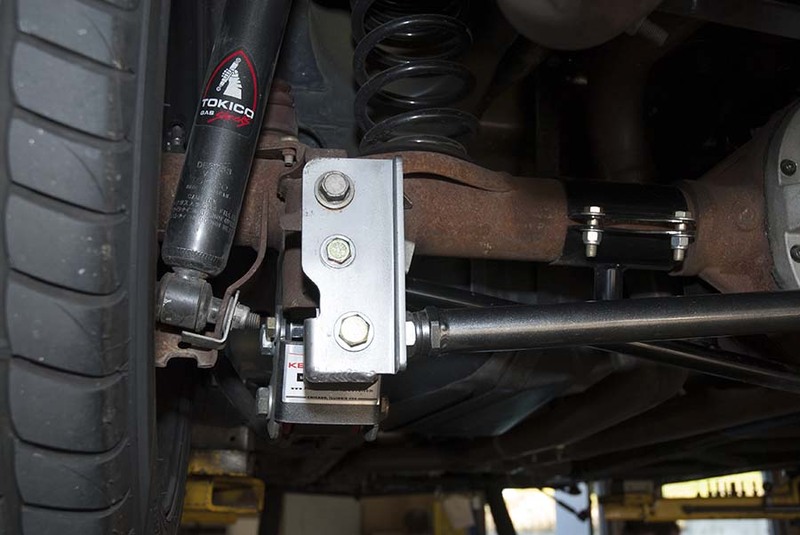 You will notice its much more sturdy than the factory stamped steel control arm. Last but certainly not least is the panhard bar relocation. Remove your panhard bar and upper bracket. Then you can install the new units. 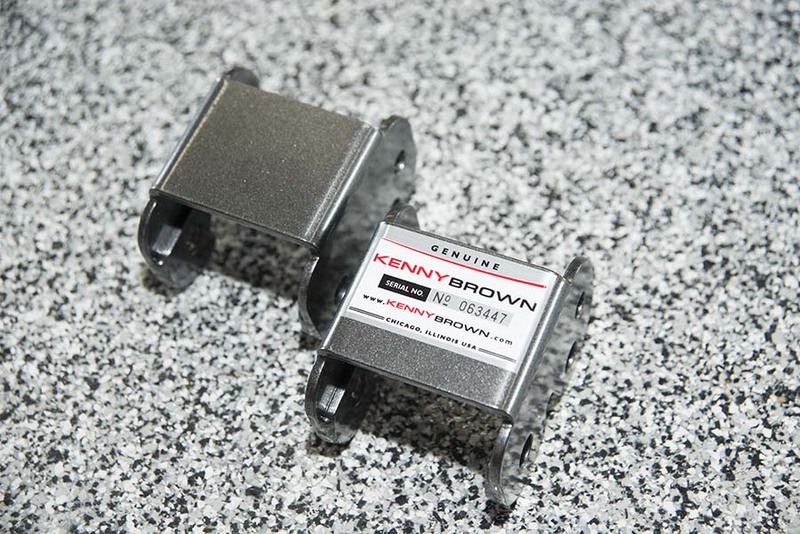 The Kenny Brown parts are much more sturdy than the OEM factory Parts. Here you can see the upper brace bar. 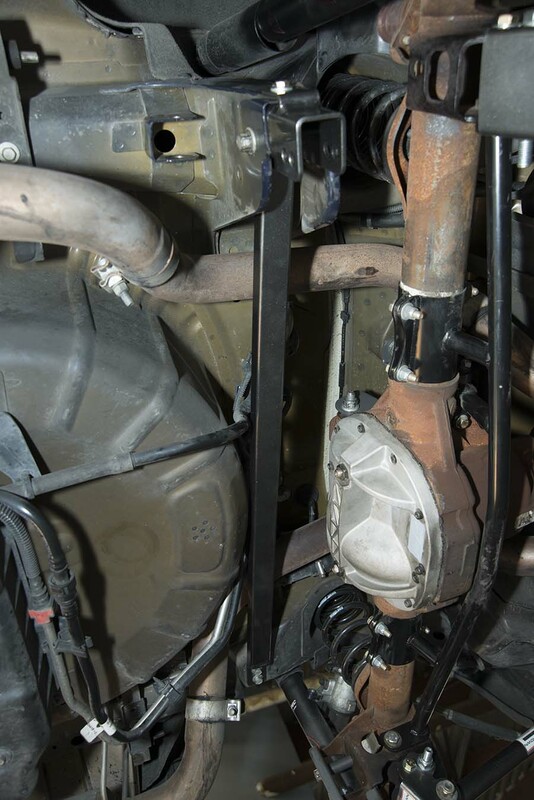 The relocation bracket drops the panhard bar below the center case housing. It requires a couple of holes to be drilled. Here is the bracket on the passengers side. 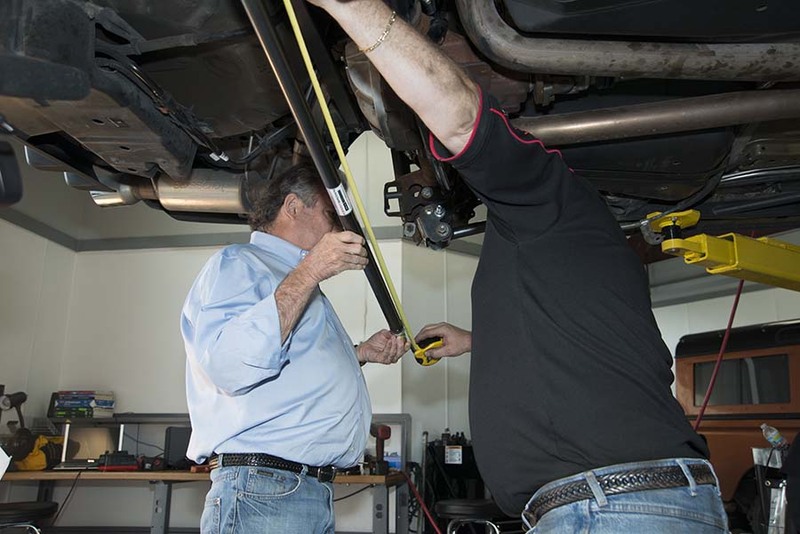 Here Kenny and John are measuring the panhard bar and adjusting its length. Here is the drivers side with the bar installed. Here is the passengers side also note the panhard brace in the upper slot. 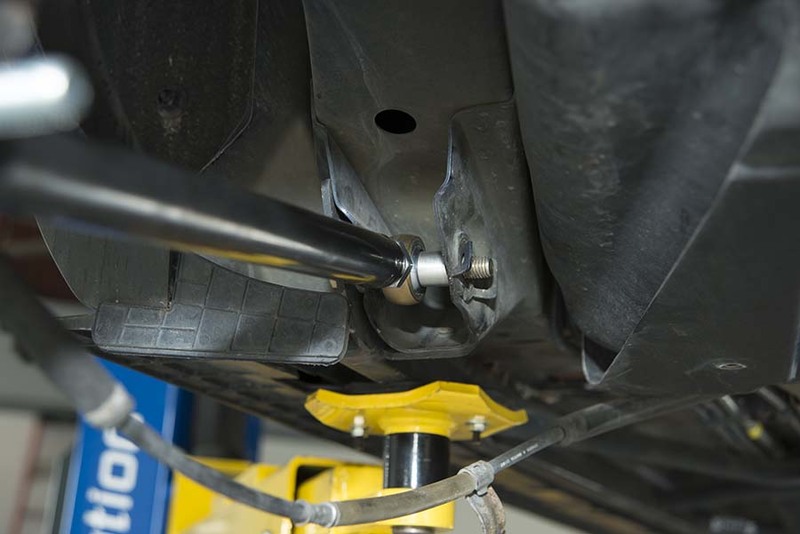 Double check your bolts and then drop the car and make any final adjustments in the panhard bar for alignment of the rear end.